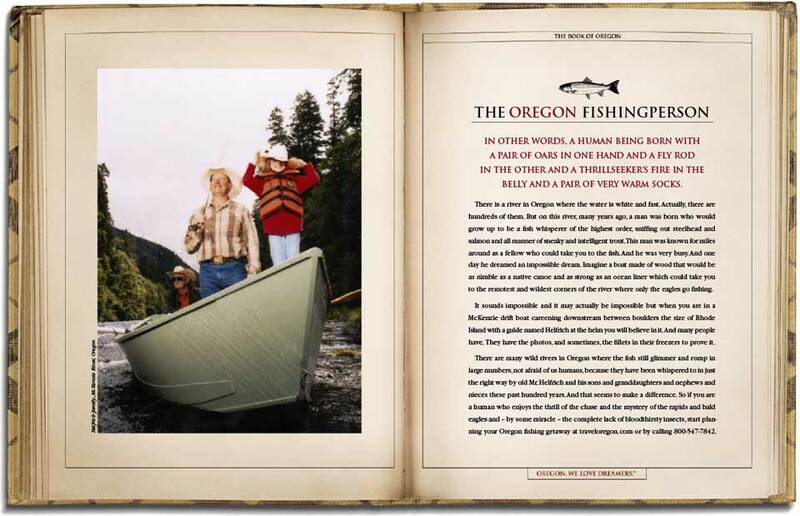 Nine decades of fishing guide experience and knowledge of Oregon Rivers. The HELFRICH Family Tradition of over 90 years on Oregon and Idaho rivers is being further enhanced today by Aaron and Jonnie Helfrich. A Helfrich River Trip with these two and their guides will be a very memorable trip. Fishing the McKenzie River and Rogue River through the “Wild and Scenic Canyon”, providing full and half-day McKenzie River Rafting or Oregon Fishing Trips. Specializing in “5 night – 6 day, Middle Fork of the Salmon River Trips.” Offering 3-5 night trips on Oregon’s John Day River. Trained, experienced, certified, licensed, courteous guides, flexible schedules — Adventure Starts Here. and a fly rod in the other and a thrillseeker’s fire in the belly and a pair of very warm socks. Read the full story from Travel Oregon. Click on the link or the image. Watch my Grand Father, Prince Helfrich on the lower Owyhee River with Oregon Governor Bob Staub in 1964-65. Dave was a Northwest river legend whose roots were in the McKenzie River Valley. The book is the posthumous publication of Dave’s life and tales. 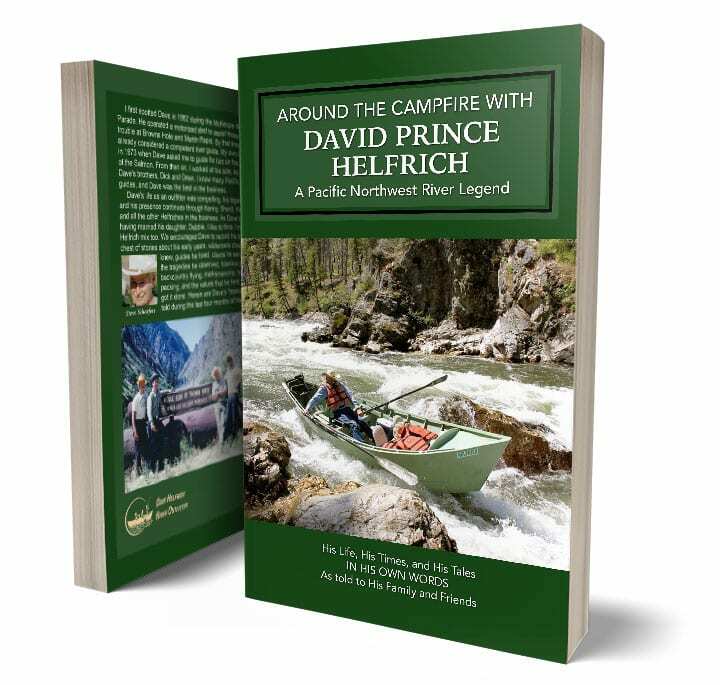 It is a treasure chest of stories about his early years, wilderness characters he knew, guides he hired, tragedies he observed, hilarious moments, backcountry flying, marksmanship, horse packing, a love story, and the pioneering Helfrich family values he represented.